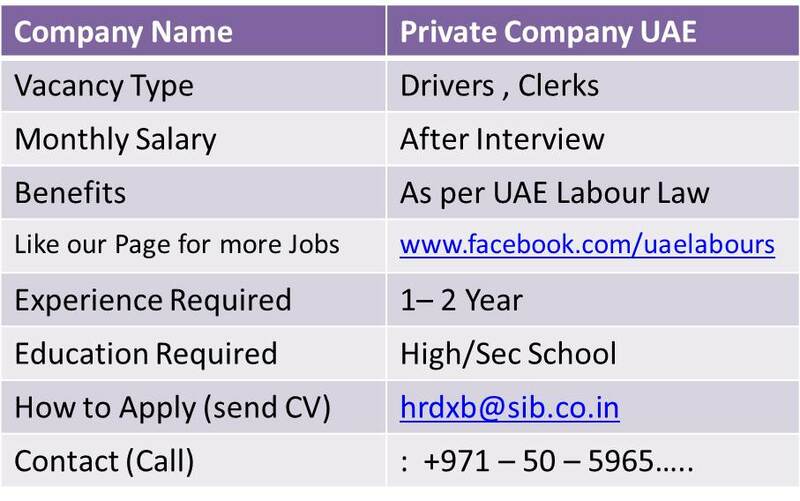 Driving Jobs are the Highest demanded jobs in UAE. REQUIRED CLERK & DRIVER for South Indian Bank in Dubai. South Indian Bank Ltd invites applications to fill up the following vacancies at Bank’s Representative Office at Dubai. If you have the skills and experience which is required for Clirk and Driver, please forward your resume to below Email Address, or through provided Contact Number Shortlisted Candidates will receive confirmation email. I want light vehicle driver job if you have please email me, I have 9 year light vehicle driver experience in uae.